It was yesterday announced that the gunners will be without their highly rated striker Alexandre Lacazette who is out for five weeks after sustaining a knee injury. The news spanked the internet yesterday because this injury might hurt the gunners so much because their current striker Aubamayeng is ineligible to play in the UEFA Europa League because he has already played for another club in the same competition. 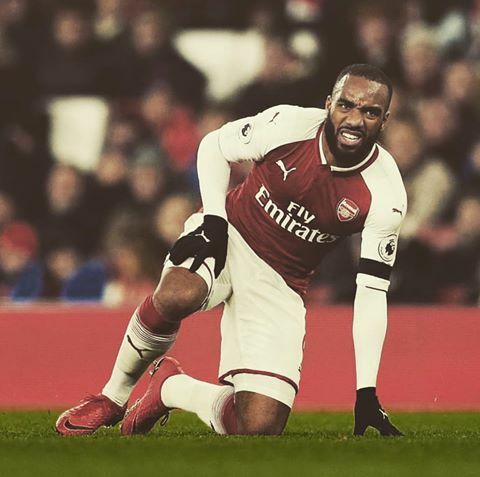 Alexandre Lacazette was overwhelmed with the quick recovery messages from his fans and he has also replied them via his Instagram account. The player gets an injury after he had fallen out of favour at the Emirates stadium because the manager was favouring the new signing Aubamayeng.